O’Neill Women’s F.U.Z.E. 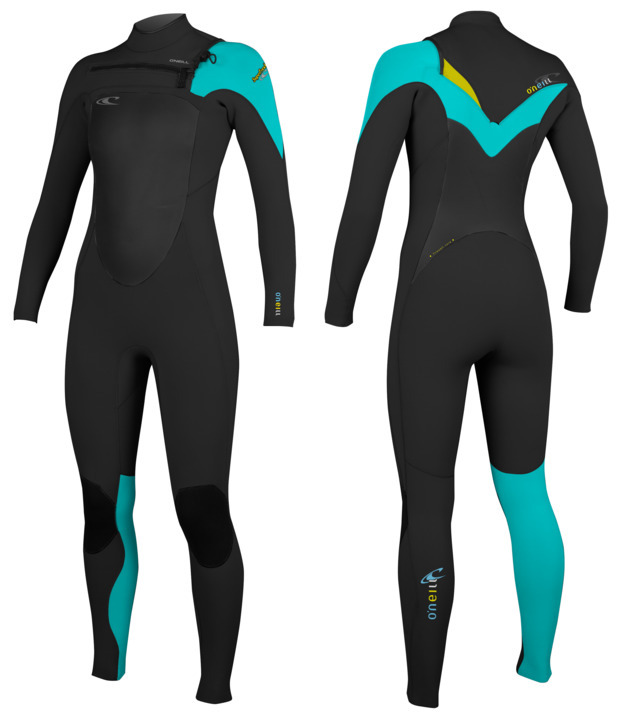 SuperFreak 3mm 2mm Wetsuit Review. Last week I had the opportunity to go to an O’Neill wetsuit training day, where I got to learn more about their wetsuits and what sets O’Neill apart from other wetsuit companies. Not only did I learn how each suit is made, and why they are made this way, I got the chance to try a Women’s F.U.Z.E. SuperFreak 3mm 2mm wetsuit for myself while attempting to kneeboard and wakeboard at a cable park. And, the proof really was in the pudding. I really liked this wetsuit! 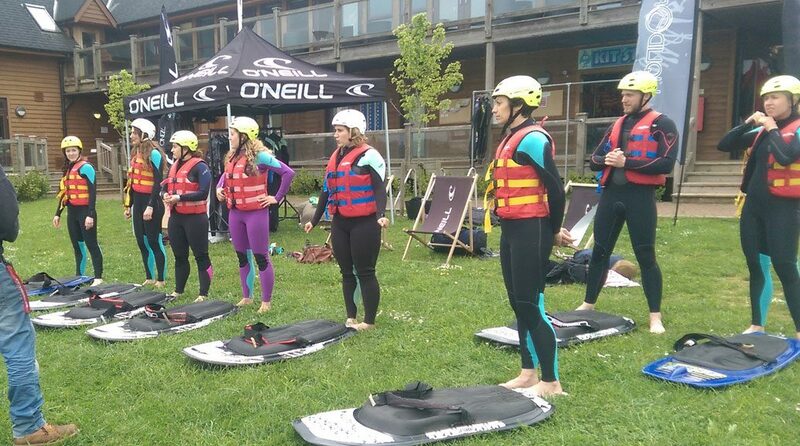 The training day was held at a cable park, on a typically English day – grey and cold. So, I was a bit nervous about the whole thing. I wakeboard behind a boat here at Tallington Lakes, and I usually spend a lot of time in the water, so with never being on a cable I knew I would spend more time in the water than not. After learning about how the suits are made, I know I shouldn’t have been surprised by how warm I was. But, I was. I was even more surprised by the fact I was warmer wearing the wetsuit in the water, than I was wearing my clothes out of it! The SuperFreak wetsuit is made with a super stretchy UltraFlex DS Neoprene, and stuck together with O’Neill’s glued and blindstitched (GBS) seam construction. The stretchy neoprene means you have unrestricted movement; and because the GBS stitching only goes part way through the neoprene, and is then glued, there is minimal leakage. O’Neill also place additional tape in all areas of excessive stress too, just to make sure! The suit has been designed with ‘seamless paddle zones’ which means that areas such as under the arm are constructed out of one panel. Consequently there are no seams to hinder movement (when paddling) and eliminates rashing; which in my case was a real bonus when I kept falling and having to swim to the lake side… And, I can see how great this would be when surfing or swimming for extended times. Front and back of the O’Neill Women’s SuperFreak 3mm 2mm wetsuit. The SuperFreak has yet another one of O’Neill’s tricks, the F.U.Z.E Entry System. F.U.Z.E stands for Front Upper Zip Entry, which basically means what you think; you get into the wetsuit from an opening in the chest. I was pretty intimidated by the concept, but once I tried it, I actually found it easier to get into than the usual back zipped wetsuits. F.U.Z.E follows the same concept of the Patented Z.E.N Zip Entry, where the zip system is added to the suit separately, having the main body of the suit constructed in a way that keeps as much water out as possible. A few other treats included with this suit are the Krypto Knee Pads, a double Super Seal Neck and a neat little external key pocket on the thigh! The SuperFreak keeps the water out and keeps you warm like no other wetsuit ever offered at this price level. And, I can 100% recommend this, and any of the women’s O’Neill wetsuit, if you are after something comfortable, warm and flexible for these spring and summer months ahead!